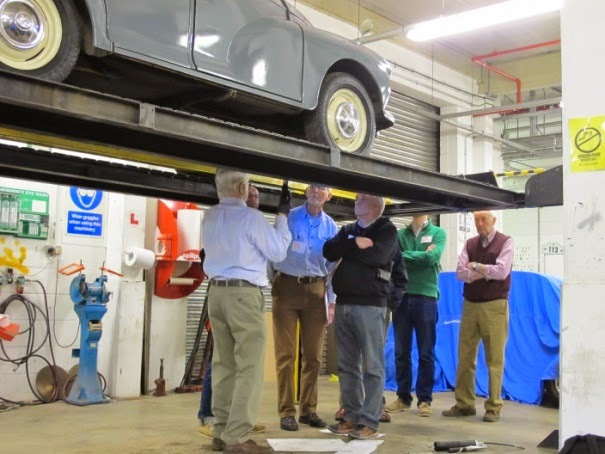 One great thing about volunteering at the Heritage Motor Centre (HMC) is that there always seems to be new opportunities to get involved in. This blog briefly outlines two recent invitations to support the work of the museum, both of which have had plenty of willing takers. The first involves spreading the word to local communities and organisations about the new Museum Collections Centre, as well as giving them a brief history of the Heritage Motor Centre and what it has to offer. The volunteers will be very much part of this outreach programme, which is being led by Adela Thomas, the HMC's community engagement officer. The project kicked off in early November with a Community Open Day, when some local groups were invited to the HMC for a presentation and tour of the museum. These included a Scout group, youth centre, WI and Probus groups and staff from a local school. 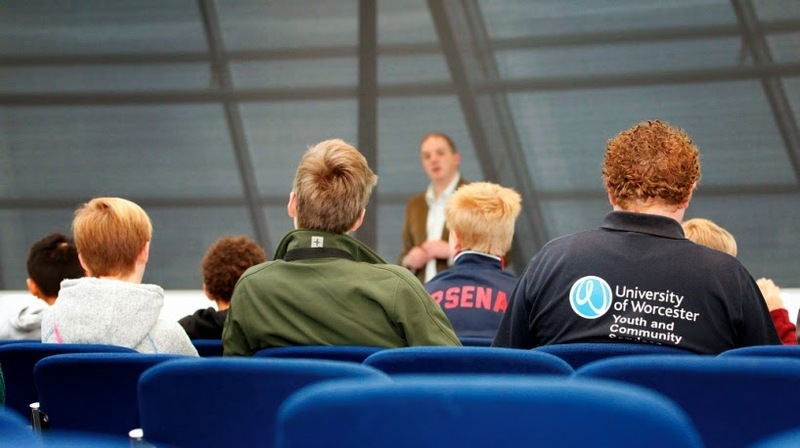 The volunteers' main role will now be to go out into the community and give presentations to any club or organisation who would like a better understanding as to what the HMC and the new Collections Centre are all about as well as details of their exciting plans for the future. So, if you're within about 15 miles of Gaydon and would like a talk, then do please give Adela a call on her work mobile number, 07857 349904. 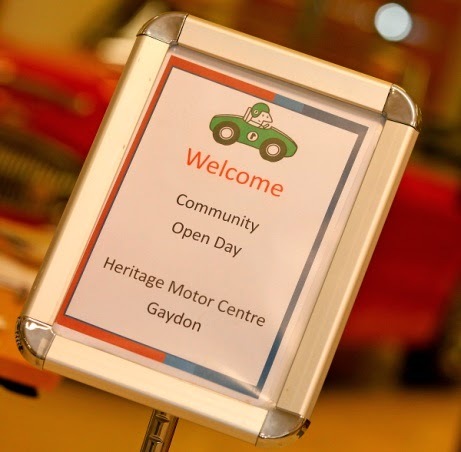 We'll come armed with an interesting Power Point presentation, which also covers the history of the Gaydon site and a few unusual motoring related artefacts from the museum's collection. The second opportunity we've been presented with involves helping with the running of an HMC initiative known as the, "Classic Virgins Experience Day". The first one took place in September 2013, followed by a further two in 2014. This year two more are planned in April and September and due to their success more help from the volunteers has been requested. 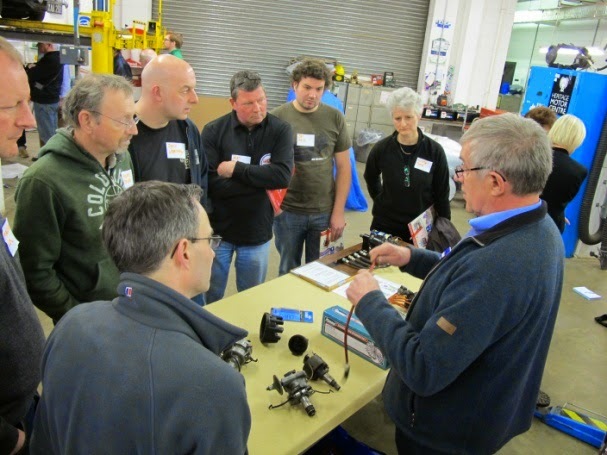 Run by course director, Bob Wilkinson, the Classic Virgins Experience Day is a hands-on, informative event aimed at those considering buying and owning a classic car. The day also gives participants a chance to ride in a range of classic vehicles along country roads. To quote one participant from the last course "I always wanted one but never had the courage to take the next step ... after today I will be doing that. I now realise how clubs offer support to owners too, which is a great help"
Bob recently briefed all the volunteers who put their names forward. Given that all of them own one or more classic cars which they've restored, he clearly has some able and experienced helpers.